Mon Health System has played a role in the health and wellness of our community for generations. Over the past few years, the system has grown into an integrated network of physician clinics, outpatient centers and hospitals that work together to make healthcare more accessible and affordable to people in North Central West Virginia and Western Maryland. 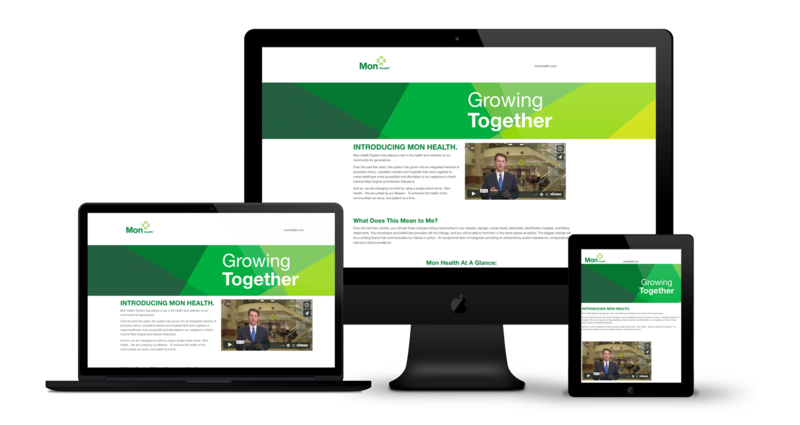 InnerAction Media has been the agency of record for Mon Health for over 5 years now. The rebrand project was massive in scope on a number of fronts which included assets of print, web and video production. Click here to learn more about hospital marketing.